RE•WORK | Blog - How can DeepMind help revolutionise FinTech? How can DeepMind help revolutionise FinTech? Erring on the side of caution with regards to companies collecting data isn’t a rarity, especially when it involves your finances. It’s worth noting however, that in order to create efficient, personalised and successful AIs requires the model to have as much data as possible in the system. Ensuring that the customer is aware of the uses of their data when it’s collected and how it’s protected will likely increase the trust each individual invests in the AI. AI breakthroughs are ever present with DeepMind having taught its avatar to walk, and medical researchers honing in on the capabilities of medical imaging, and labelling and segmentation being near human perfect. It’s one thing to hear about all this groundbreaking research, but it’s another to apply it to a practical situation. How are we utilising these progressions, and what does it look like when we train and adapt these models to function in a fully productionised system in a big corporate company? This is exactly what Jakob Aungiers, head of the quantitative research development team at HSBC has been doing. He’s working with DL & AI for momentum strategies to help in a more tactical sense in areas such as anomaly detection and productionising the technology behind that. 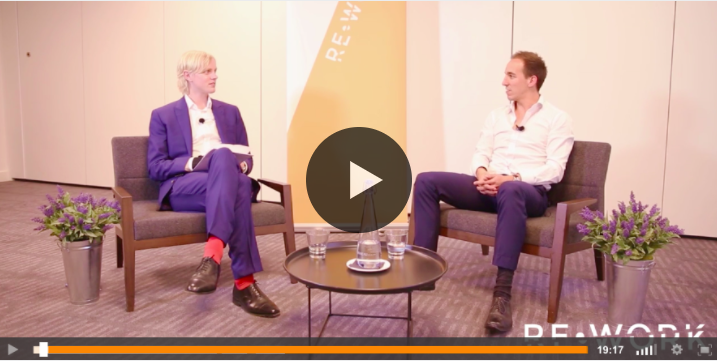 Jakob spoke about his work at HSBC in more detail in an interview at the Deep Learning in Finance Summit in London which is available to watch here. AI in finance can not only improve the efficiency of the corporation, but will improve the customer's’ experience turning tasks that were previously frustrating and time consuming into convenient transactions. Keen to learn more about the impact of artificial intelligence in the financial sector? Join us at the Deep Learning in Finance Summit in London next March 15 & 16 where we will explore the advances in deep learning tools and techniques from the world’s leading innovators across industry, research and the financial sector. Confirmed attendees include Swedbank, Royal Bank of Canada, Chevron, McKinsey & Company, CapitalOne and more.